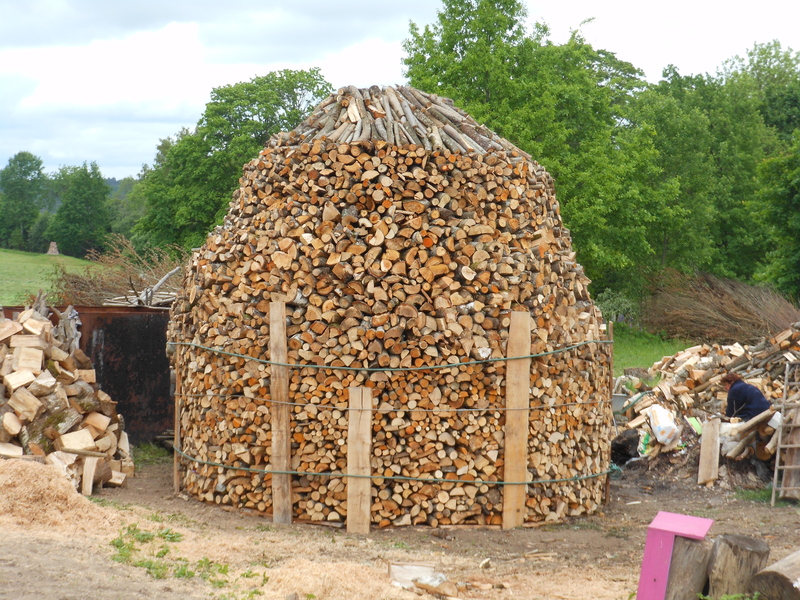 No, It isn’t a work of Andy Goldsworthy, but the Pedvale team stacking firewood for the winter. Click on the link below to see. They did several of these while we were there. Click on twin peaks. This entry was posted in folk art and tagged art, Latvia, Pedvale, wood. Bookmark the permalink.